Repairs Stored Procedures, Tables, Indexes, Triggers, Keys & Rules, etc. It took a few seconds for the tool to scan the database, as there was only a single table within. I was happy to know that the software did it just right and was able to read all the data off the corrupt database. I could see the table with its properties in the interface. I really like the very simple and very intuitive interface. It is that simple that you even don't have to remember all the fancy options as I imagine such program might have. The application just repairs the database in an automatic way. 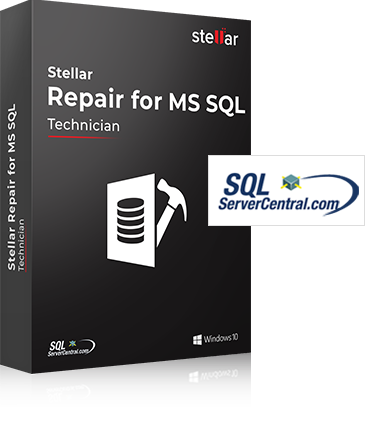 Stellar Repair for MS SQL is a powerful SQL database repair software that offers comprehensive utility to repair corrupt and inaccessible MDF and NDF files, and bring SQL database to a consistent state. The SQL Server database repair tool resolves corruption and errors in SQL database that may arrive due to- database in Suspect mode or Offline mode, recovery pending, database attachment issue etc. When inbuilt utility DBCC CHECKDB with other commands, is not able to repair SQL database, Stellar's MS SQL Repair software provides reliable solution to repair MS SQL database and extract all components without data loss. The competitive SQL repair tool ensures that SQL Admins can select the database, scan, repair and preview corrupt SQL server database objects & save as New or Live Database. SQL Repair tool scans the complete database and repairs to bring the database to a consistent state. SQL Database Repair tool allows users to retrieve Deleted Tables records without modifying the SQL Database Table-format. Users can save these recovered records as new Table just below the original file to determine the difference in original and repaired Table. The SQL repair tool scans through the Tables, Triggers, Indexes, Stored Procedures and other components to repair and save in multiple formats like MSSQL, HTML, XLS and CSV to enhance database usability. Saving database in multiple formats increases its accessibility on other systems where SQL is not installed. Why do we need SQL Database Repair Tool? "Fabulous product fabulous technical support to guide one through the software. Never before have I come across such great service. You are efficiency and perfection personified. I am overwhelmed with the results."